I love a good time-travel story. From the Terminator films, Back to the Future series, and ripping yarns like the 2000 film Frequency, there is something alluring and exciting about the past and future colliding. Even the recent Star Trek reboot found a few wormholes. Time travel will always come across in film as a tricky contradicting device full of paradoxes. 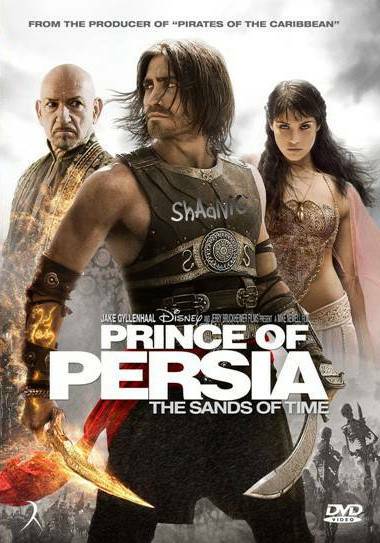 In Prince of Persia, the film bases its premise on the possibility that time travel and its power may fall into the wrong hands (as all films of this sort do), but it presents time travel in a limited arrangement. 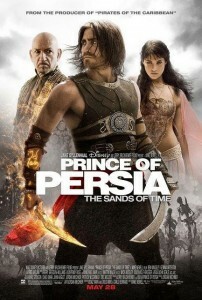 The plot introduces the Persian empire at the height of its power. Its king is paraded through the streets where he comes across a defiant young boy who seeks to protect another young man from punishment as a result of thievery. In fact, it feels very similar to a live-action version of Disney’s Aladdin. This protective boy, Dastan, stirs up the king’s heart, and the orphaned boy is taken into the royal family as a young prince. Later on he grows up to become the adult Jake Gyllenhaal, bulked up with flowing dark hair and bronzed skin attributed to multiple trips to the tanning salon. He is a trained warrior, and trusted commander in the nation’s army. Dastan’s royal brothers are set to capture the peaceful city of Almut. Though Dastan’s skills as a fighter are commendable among his siblings, they feel he is not ready for such a massive attack. To prove himself worthy, Dastan scaffolds the wall of Almut and lays siege to the city, leading a small band of soldiers to victory before the royal brothers arrive. Dastan becomes a hero, and as such, takes a handsome dagger from Almut—one with mystical powers. During a celebration, the ceremony is interrupted when a prestigious cloak, laced with an acidic poison, is offered to the king and kills him very quickly. Dastan, having been asked to offer the cloak before the ceremony, appears to be the traitor with the intent of taking the throne. 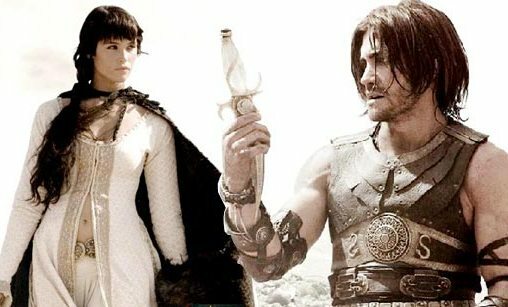 Quickly afoot from his own people, Dastan escapes with a princess of Almut, Tamina (Gemma Arterton) captured shortly following the attack. Tamina’s sole interest is in protecting the dagger Dastan carries and returning it, as it has the power to rewind a minute (or roughly so) in time. It soon becomes apparent to Dastan that someone, most likely his eldest brother, must have been after the dagger for its power. The story eventually expands the power of the dagger in revealing an underground stone ruled by the gods that can ultimately lead to a total reversal of history and mankind’s complete destruction. What else is new? 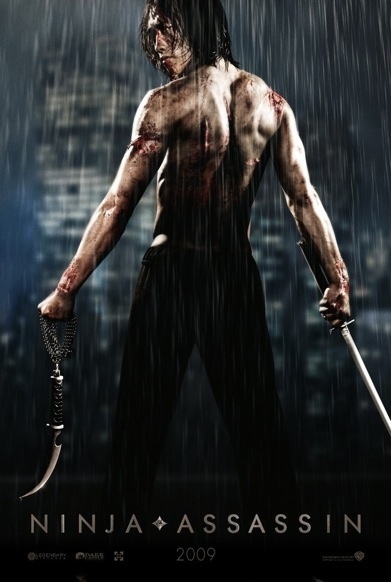 Caught in this storm of chaos, Dastan seeks out his uncle (Ben Kingsley), the only man he can trust to clear his name and restore order in the kingdom, as well as return the dagger to safety. Regarding the dagger and its power, I love how the story has found a way to eliminate the paradox of time travel. The dagger holds a button on it, that if pressed with the proper sand in it (dopey, I know), simply rewinds time back about a minute. Only the holder of the dagger knows that any change has taken place. So in essence, there really isn’t any traveling in time—time is simply rewinding itself, and this is the limit of the dagger. I like the premise, and the limited power there. But of course the premise takes things to a new level once man’s history is revealed. The gods apparently had wiped out all of humanity but one young girl who pleaded to live and was granted her survival. She was given this dagger of power and it has been kept in secret… blah, blah, blah. The narrative makes a huge leap to potential world annihalation, and once this happens, the story gets incredibly sloppy and stitched together, when it could have stuck to this dagger’s original limit of power. I’m sure that would have been more enjoyable. 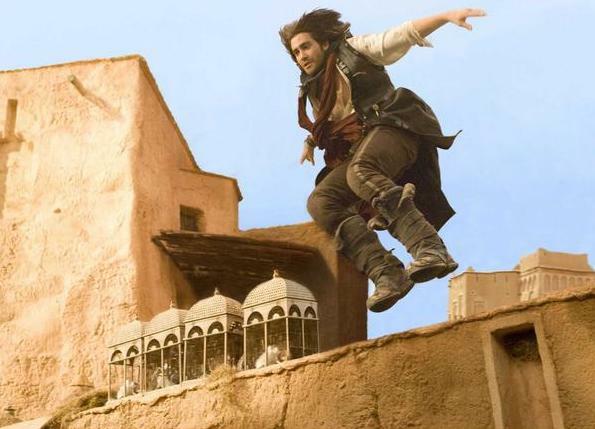 Prince of Persia is based on a video game series I haven’t played, nor ever will I’m sure. And of course, this coulda-shoulda-woulda blockbuster film from Producer Jerry Bruckheimer (hoping so desperately to turn this into a Pirates of the Caribbean franchise) delivers a very expensive product. You can see it onscreen, even if a few of the digital shots look a little hammy. With a lot opportunity here, the film turns to silliness to try and exact the charm of that Johnny Depp adventure. The problem is that Gyllenhaal is no Depp. And as much leaping and jumping around as Gyllenhaal’s stuntmen do, as muscle-bound as the actor has become, it doesn’t bring natural charisma or wit to his performance as a side effect. The story doesn’t help Gyllenhaal’s cause. Pirates was silly, yes, but the characters carried the plot. Once Prince of Persia evolves into a history lesson on the gods’ wiping out humanity, and their intent on doing so again if the dagger is misused, I felt the story crumbling in on itself, as if I could see the writers in the background trying to staple ideas together. 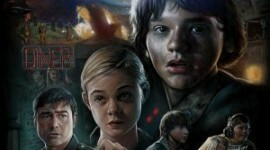 Ultimately, the film gets too big, too silly, and too careless for any of its original ambitions to prevail, and the filmmakers should have realized that a mammoth production wouldn’t sell itself. Pirates of the Caribbean certainly didn’t. Bruckheimer had his ace in the hole after all was said and done—Johnny Depp making an icon out of Jack Sparrow. Unfortunately he failed to repeat that process. While Persia still isn’t quite the mess that the third Pirates film became, it’s still about as silly and unpolished. As a marginally enjoyable big-budget diversion, I found this film to be watchable, but I can’t heartily recommend it. No way, man. This movie was awful. I could get on board with the hokey premise and Ben Kingsley’s overacting if the characters were any good. Or, rather, the actors. Jake Gyllenhaal basically spends the entire movie trying to be Jack Sparrow instead of attempting to create a unique character in his own right. The only person in the entire film who was remotely interesting was the proprietor of the ostrich races.